We walk into a store, craving soda, and see two cans with different labels: “Diet Coke” and “Coke.” We stand there, contemplating between the cans, and wonder which one will be better for us. Then, we check the calories on both cans. Diet Coke reads 0, while Coke reads 140. We take the Diet Coke to the cashier and believe that we are doing a huge favor to our bodies. 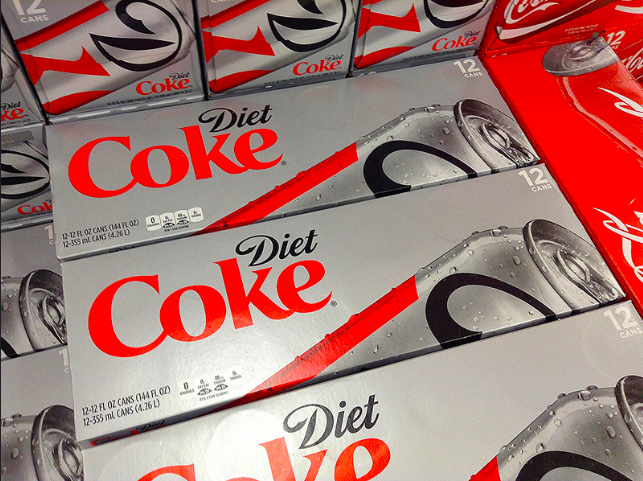 Diet sodas help us lose weight. Diet sodas are harmless. Diet sodas are not bad for us. Those are all lies. Diet Coke, Diet Dr. Pepper, Diet Pepsi, and Diet 7UP. Most of us are familiar with these famous zero-calorie drinks, and you may actually be drinking one right now. Should we be drinking the “beneficial” sodas? No, we should not. Diet sodas are doing more harm than good. Aspartame is what keeps us drinking can after can. The artificial sweeteners, which are hundreds of times sweeter than sugar, in the sodas make us long for more and more; therefore, we gain weight. Diet sodas confuse our brain and metabolic process with the level of sweetness we like. Our tongues may be unable to taste the dramatical sweetness, but our bodies can. Business Insider reported that when we drink diet soda, the sweetness tricks our body into thinking it’s real sugar and the body expects to receive calories, so the insulin produced from the pancreas has something to store for energy. But, when those calories don’t come, the insulin has nothing to store, and our body is essentially tricked. Studies have found that drinking more than two artificially sweetened drinks a day can increase the likelihood of heart disease. The American Heart Association and American Stroke Association observed data from approximately 82,000 women ages 50 to 79. They found that 5.1% of the women who drank more than two artificially sweetened drinks a day had a 23% higher risk of stroke and a 29% higher risk of heart disease than those who rarely or did not have the drinks. Diet sodas do not add any nutritional value to your diet; they will only harm your body. So, the next time you travel to a store, choose your original favorite soda instead of the dieted version.